What has two rival luchadores forced to partner up to clean up the streets, a possibly fake mummy, a possibly real mummy, a Latina kick boxer in a lab coat, a crooked promoter, a crooked museum, bacon-wrapped hot dogs, over-aggressive wiener dogs, a werewolf, a video pirate, a drunken goblin and the requisite overweight-as-he-is-over-stressed police captain trying to keep all of it in line? Cuidad Rencor does — a city built around ring sports and the arena where all grudges are settled. When third-generation rivals El Victor and El Mil Calaveras are forced to partner up, they see an opportunity to bring back the glory days of their masked and caped grandfathers fighting monsters, or at least their bellbottom-clad fathers fighting grindhouse crime lords. But can these mortal enemies who need each other more than either will admit actually protect their city when they’re on the verge of coming to blows every minute? Matt Wallace and I had a real blast putting this book together, the bi-product of a TV series pitch that was too good to languish in development hell obscurity. So here it is as an introductory novella, which if the audience is there, will be the first of a series. Rencor: Life in Grudge City, is available now as an ebook on Amazon, with a print edition following this August. 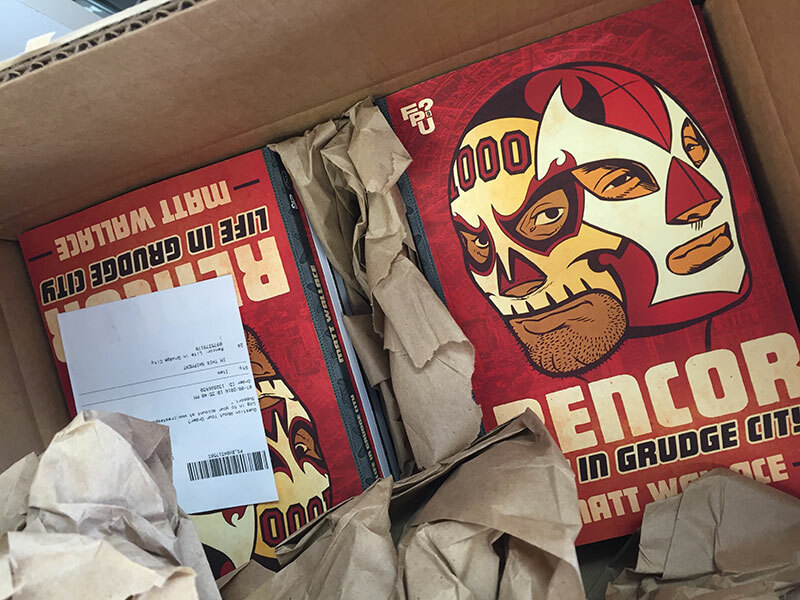 The first publicly available preview copies can be had at the Latino Comix Expo in Long Beach, CA, where you can meet the author, and catch a panel presentation on lucha-heroes hosted by yours truly.